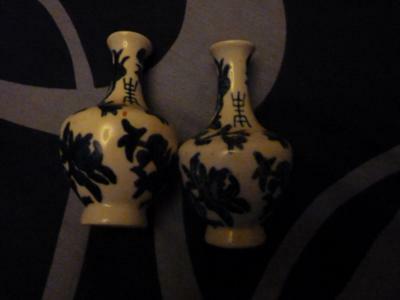 have got a pair of blue and white vases about 4 or 5 inches tall, on the base there is chinese writing and made in yung china ? 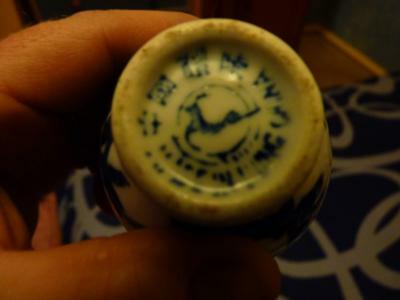 there is also a gazelle or an antelope in the centre of the writing are these vases worth anything. The dark pictures make it impossible to see anything clearly. However, judging from the bottom image it either is not Chinese or fake.